Mixing experimental, sometimes polyphonic makamsal music (deriving from makam) by İhsan Özgen, Michael Ellison, and Kamran Ince, with that of two traditional masters, this concert shows what three different composers are doing today in straddling the borders between Turkish traditional music and the contemporary West. In Özgen's case, his perspective is completely from within the long tradition of Ottoman music, and yet these small pieces for kemence and cello show consciously embedded western influence. With Michael Ellison, for whom Ottoman music is a learned tradition, and whose music explicitly attempts to find a middle ground and then go beyond this, it is entirely the opposite. Similarly, Kamran Ince is a Turkish composer writing western music, but coming back to the roots of tradition. 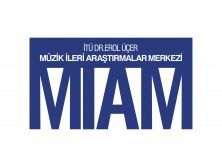 These contemporary experiments are followed by works of Dilhayat Kalfa (1710?-1780) and Tanburi Cemil Bey, whose style İhsan Özgen is renowned for extending and preserving.Mixing experimental, sometimes polyphonic makamsal music (deriving from makam) by İhsan Özgen, Michael Ellison, and Kamran Ince, with that of two traditional masters, this concert shows what three different composers are doing today in straddling the borders between Turkish traditional music and the contemporary West. In Özgen's case, his perspective is completely from within the long tradition of Ottoman music, and yet these small pieces for kemence and cello show consciously embedded western influence. With Michael Ellison, for whom Ottoman music is a learned tradition, and whose music explicitly attempts to find a middle ground and then go beyond this, it is entirely the opposite. Similarly, Kamran Ince is a Turkish composer writing western music, but coming back to the roots of tradition. These contemporary experiments are followed by works of Dilhayat Kalfa (1710?-1780) and Tanburi Cemil Bey, whose style İhsan Özgen is renowned for extending and preserving. Presented in conjunction with the Middle East and Central Asia Music Forum.